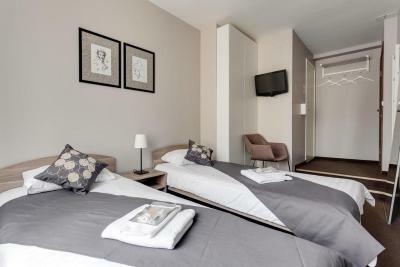 Lock in a great price for All Dreams Hotel – rated 8.3 by recent guests! 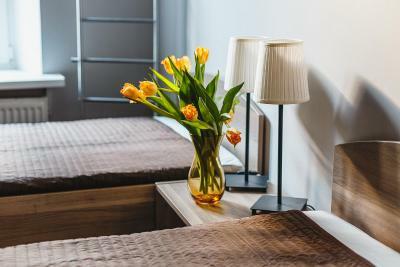 rooms are clean with fresh towels provided by the receptionist free of cost, soap provided, & location is bit far but overall quite and good place for one night! The location, the staffs and the facilities inside the room. 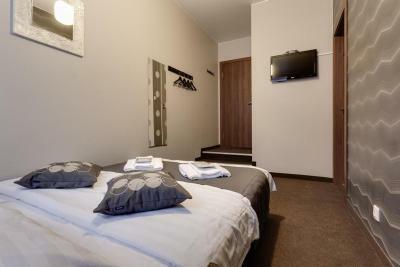 Nice small room , everything what you need for short stay. Lady at the reception was very nice and helpful. We had a flight in the morning and left room a bit messy , what we usually do not do. Apologize for it! Very good option, especially for a one night stay. Location is very nice. 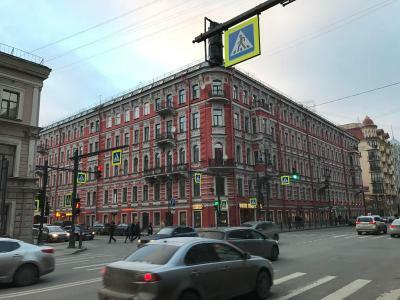 Pros: - Location at a good distance of major attractions and nice restaurants and shops, if you’re ready to walk a few kilometers you easily reach everything from opening bridges in the night across Neva (and yes it is safe to walk around the city in the night even as a young woman like I am) to Mariinsky Theater etc. 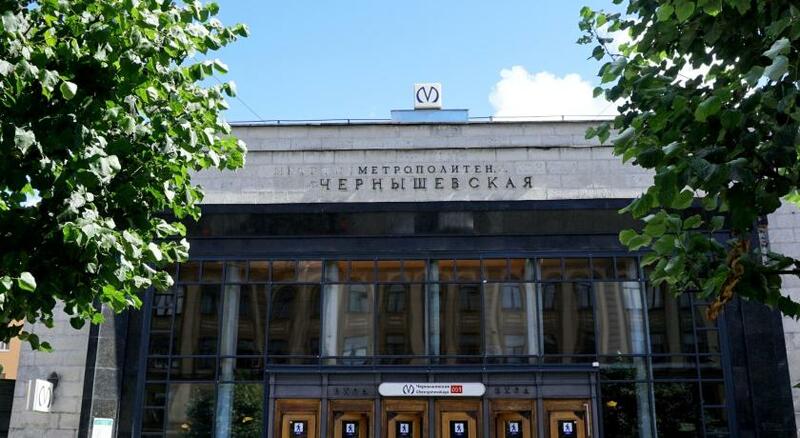 Not far away is also Nevsky Prospect shopping street and Galeria shopping center. - The room was small but well enough for one person. - Trash is changed every day and towels every other day, the room is tidy. 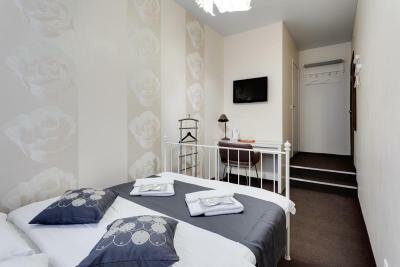 - I stayed for a week and the price-quality of the room I consider good. Местоположение, бабулька на рецепшине Кресло в спальне. Удачное расположение возле туристических достопримечательностей. Расположение, персонал, удобная кровать и хорошее белье. Месторасположение и инфраструктура. 30 минут прогулочным шагом до Храма Спаса на крови. При это в 2х минутах ходьбы станция метро Чернышевская. Много кафе, фастфуда, магазин Дикси. 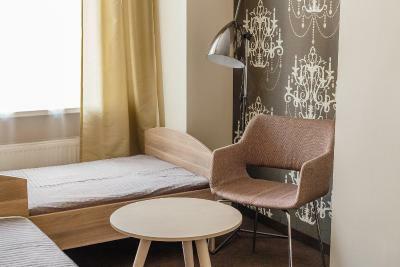 Located 1,150 feet from Chernyshevskogo Metro Station in Saint Petersburg, All Dreams Hotel offers simply decorated bright rooms. All rooms come with a flat-screen TV. 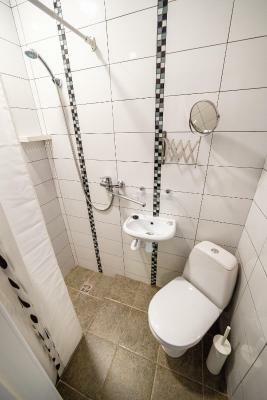 Guests use the private bathroom that includes free toiletries and a hairdryer. Guests can either eat in a snack bar or dine in the local cafes that are in the property’s immediate vicinity. 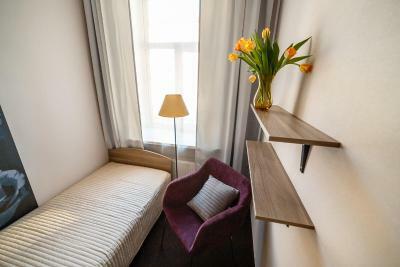 The apartment is a 15-minute walk from Nevsky Prospekt that provides a variety of restaurants and shops. The property is 0.9 mi from Saint Michael's Castle, Summer Garden, Mars Field and Russian Museum. 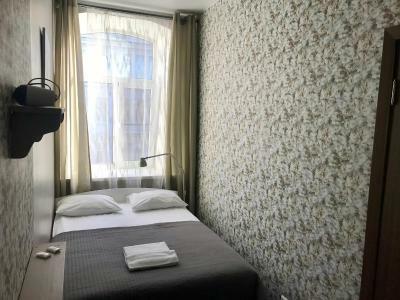 Moskovsky Train Station is 2.6 from All Dreams Hotel, and Pulkovo International Airport is 13 mi from the inn. 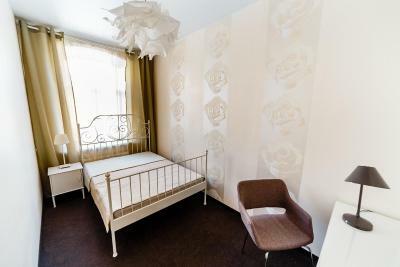 뀐 Located in the real heart of Saint Petersburg, this property has an excellent location score of 8.8! When would you like to stay at All Dreams Hotel? This room comes with a flat-screen TV. 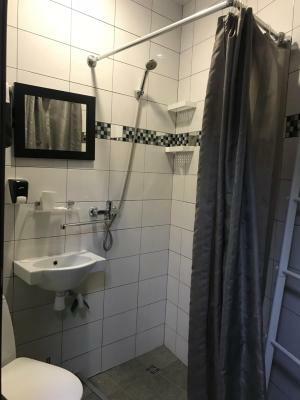 Guests use the private bathroom that includes free toiletries and a hairdryer. 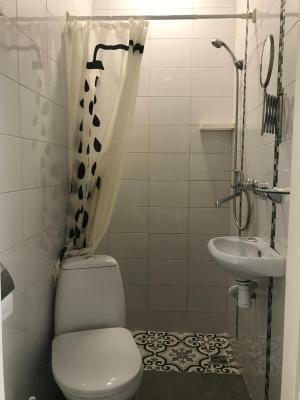 Guests use the shared bathroom that includes free toiletries and a hairdryer. 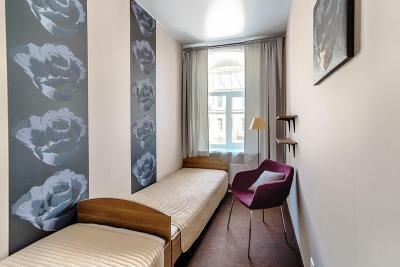 This room comes with a flat-screen TV and a sofa. Area Info – This neighborhood is a great choice for travelers interested in museums, culture and ambiance – Check location Great location - show map Guests loved walking around the neighborhood! House Rules All Dreams Hotel takes special requests – add in the next step! Debit card All Dreams Hotel accepts these cards and reserves the right to temporarily hold an amount prior to arrival. All Dreams Hotel accepts these cards and reserves the right to temporarily hold an amount prior to arrival. Cons: - There is no elevator in the building to the hotel on 4th floor (this is not a real problem as you only get your luggage once up and once down, when I came the hotel lady even was helpful to carry my luggage upstairs). 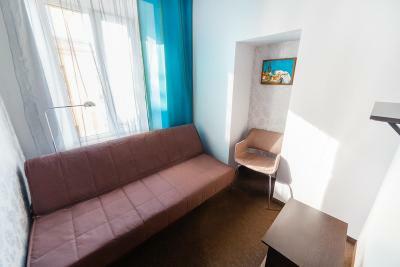 - The staff doesn’t speak English much (this is however common in St Petersburg based on my prior experience, I managed well even with my relatively poor Russian skills). The hotel staff was patient and kind to overcome language barriers. 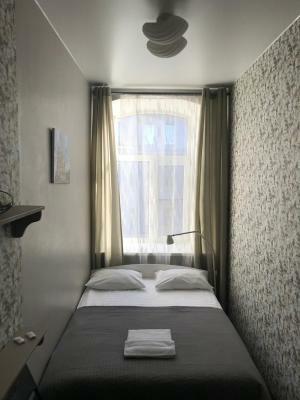 - There is no kitchen, microwave, stove or fridge (eating out is not expensive in St Petersburg and also the breakfasts are good so you might even want to eat in some café or restaurant anyway). Be Careful, you have to walk over four floors as its not mentioned anywhere in fine print and there no kitchen area to wash, there is only a small refrigerator and an oven. Good for one night stand!